Today, the Honourable Marie-Claude Bibeau, Minister of Agriculture and Agri-Food, announced new funding of up to $31 million to increase the number of detector dogs at Canadian airports to help prevent illegally imported meat products from entering into Canada. This funding will allow for the addition of 24 detector dog teams over 5 years, bringing the total number to 39 Food, Plant, and Animal Detector Dog Service (DDS) teams. Illegally imported meat and meat products from countries affected by African swine fever (ASF) present one of the greatest risks for introducing this animal disease to Canada. Detector dogs are our best available method to intercept meat products, making them the most effective tool in protecting Canada’s swine population from ASF as well as other animal diseases. Canada is also pleased to announce it is hosting the first international ASF forum in Ottawa from April 30 to May 1, 2019. In collaboration with the United States and supported by leaders from Mexico, the European Union, the Food and Agriculture Organization of the United Nations (FAO), the World Organization for Animal Health (OIE), provincial, territorial and state partners, as well as industry, this forum will provide an opportunity to further strengthen international cooperation to stop the spread of ASF. Although Canada has never had a case of ASF, the disease continues to spread in parts of Asia and Europe. ASF poses no risk to human health, but it could disrupt Canada’s pork industry, which includes over 100,000 direct and indirect Canadian jobs. • The Canadian Food Inspection Agency (CFIA) is raising awareness among travellers through social media and has already reached over 20 million people with its ASF campaign. Additional signage has been placed at airports reminding travellers of the requirement to declare all food and animal products at the border to keep foreign animal diseases, including ASF, out of Canada. • The Canada Border Services Agency (CBSA) has redirected current detector dog capacity to key international airports to better focus on passengers and goods coming from high-risk areas. • CBSA’s border services officers have been provided with guidance on applying the penalty of $1,300 to travellers who fail to declare pork or pork products or any other meat when entering the country. • The CFIA is considering implementing measures to prevent infected feed ingredients from ASF-affected countries from entering Canada and is closely monitoring the international situation to ensure the CBSA has the right border controls. • The CFIA is partnering with Canada’s pork industry, industry associations and provinces to generate awareness and help maintain a high level of vigilance and standards on pig farms across the country. • The CFIA worked with provincial partners so that more laboratories can test for ASF. • The CFIA is engaging international partners on approaches to zoning, so that trade disruptions can be minimized, should ASF enter Canada. It is also collaborating internationally to further scientific understanding of the disease, engaging with international bodies and European and Asian governments to learn from their experiences, and supporting international efforts through the Global Framework for the Progressive Control of Transboundary Animal Diseases. • The CFIA is also working closely with North American partners and counterparts to harmonize testing protocols, share intelligence and take collective action from a pan-North American perspective. This includes participating in joint exercises on ASF with our American and industry partners. More information on the Government of Canada’s efforts regarding ASF can be found on CFIA’s webpage. • African swine fever (ASF) is a serious viral disease that can cause fever, internal bleeding and high death rates in pigs. It is highly contagious and can spread rapidly through both direct and indirect contact with infected pigs or pig products. ASF only affects members of the pig family. • There is no treatment or vaccine for ASF. • There is no evidence that the ASF virus can infect humans, and it is not considered a food safety risk. 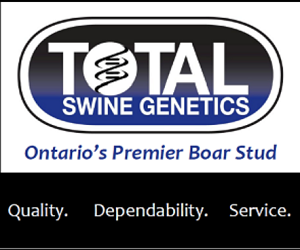 • Canada’s pork industry contributes over 100,000 direct and indirect jobs, mainly in Manitoba, Quebec, and Ontario, and generates approximately $24 billion to the Canadian economy. In 2017, Canada exported 1.2 million tonnes of pork to over 100 countries at a total value of $4 billion.